Before you can register as a Co-operative, you must draft its rules and have them approved by the Registrar.  In Tasmania, the Registrar is the Director of Consumer Affairs. Contact the Registrar through the Consumer, Building and Occupational Services. A Co-operative’s rules describe the way in which the group organises its activities and governs its members. each of the members of the Co-operative. As a member of a Co-operative, you are agreeing to observe the provisions of the rules. The rules may include the objectives of the Co-operative and any other provision that may be appropriate. These provisions must not be contrary to the Co-operatives National Law (CNL). NOTE: It is important to discuss the draft rules with prospective members. Decide on any changes before submitting them for formal approval. Of particular importance is the active membership rule. This rule should set out precisely the primary activities of the proposed Co-operative. It should also specify what members need to do to support an activity or to maintain a relationship with the Co-operative. Model rules are available for use to help with the formation of a Co-operative. The rules cover all matters required by Schedule 1. They also provide an example of what a suitable set of rules for a Co-operative might look like. A Co-operative may wish to avoid a lengthy process in drafting its own rules and fill in the details and adopt the appropriate model rules. PDF documents need a PDF reader. Please read more on free PDF readers. Contact us if you have problems viewing or printing the document or need the document in a different format. Co-operatives engage in a wide range of activities. Model rules are not intended to deal with all aspects of the business or activities of a Co-operative. It is essential that Co-operative rules are carefully considered to make sure they suit the Co-operative's proposed activities and intentions. Co-operatives are able to include requirements in their rules that are greater or more stringent than those is the model rules. The model rules have been drafted to show how to meet the minimum requirements applying to a Co-operative.